We are all guilty of it. The destination has been set and we rush forwards; often blind to what is around us on the way. My recent weekend getaway (https://www.facebook.com/HardwickeBeachHouse) had me thinking: why are we always in a rush to get somewhere? Even our timeout is arranged around getting there and getting back. Having finally found the perfect swimming spot, where I could re-connect with nature and let my mind wander, I was not looking forward to a rushed trip home. Thankfully, my travelling companions were up for a return journey that expressed the true essence of travel – the road trip. A journey where everyone is up for being open to the open road; where ever that road may lead. So, packing a picnic, we set off. First was the chase for the perfect picnic spot. So, being the driver, I took charge and headed down memory lane and towards Port Victoria (Yorke Peninsula, South Australia). And it was the perfect place for lunch, with an envious view of the sea. And full of memories for me, but thankfully no longer haunted by ghosts of the past. We soaked up the view and took an after-lunch stroll along the jetty. Looking through the eyes of my fellow journey-women, I was able to see anew the beauty of this coastal town, as well as indulge in some reminiscing of times long past, and thoughts of those now departed. On the road again, we were relaxed and in no hurry to return to everyday life and hassles. So nobody really minded when I missed the turn off and traveled down a bumpy road which I had not been along in decades. On a whim, I pulled over and, as often is the case, stopped at just the right spot. Far from the ocean, we came across a mysterious pile of shells; of the type that my two travelling companions had been hoping to find on the beaches we had left behind. I was not surprised, as those unplanned stops along the way often bring us what we have been seeking elsewhere. I am a big fan of road-trips, even though I never find the time and resources to fully indulge this passion. 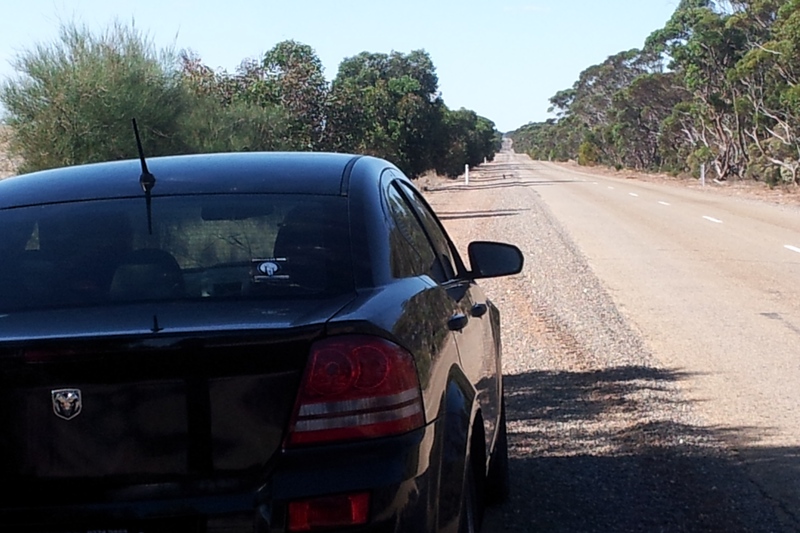 Australia is the place for road-trips, and I have been on many; with many a tale stored away. Although I will often map out the best route before leaving home, I am always open to taking a detour or an unplanned stop. And often it is these diversions that lead to the best adventures, the most wondrous sights and eclectic people. Luckily, I have friends that allow me my whims, and are open to getting ‘lost’ only to end up finding something amazing. Perhaps I also live my life this way, the way I venture out on the road. Yes I plan, I read the maps and plot my journey. Equally, I willingly venture down unplanned roads, often with mixed results. Regardless, I am on the road I am meant to be on, and have traveled the path that has lead me to where (who) I am. The way that I approach writing is probably akin to this. I am more of a ‘pantser’ then a ‘plotter’, and never give a second thought to chasing those plot-bunnies down a rabbit hole. I have plans, big plans, plans that have been percolating for decades. I know that my destiny is to be a full-time, all-expenses-paid writer; I have known and accepted this since childhood. Sure the journey there has been somewhat erratic and until recently there has been no map in sight, but I will reach my destination. Its not a journey to be rushed; not for me. I have grown through taking the unplanned detours, the unexpected stops along the road. My writing will be the richer for it, in the end. However, now is the time for referring to the map, to ensure that I eventually reach my destination. To know that I now have company on this road-trip makes the journey easier and much more fun; I want to share the joy to be had in travelling the road less traveled. Thanks for stopping by my site and commenting. I do believe that we all need to show a little bit more support to each other. It’s just good karma. I am also “pantser”. While having a basic idea and what I’m writing towards is always helpful, I prefer to just plow ahead and see where the writing takes me. The discovery is part of the joy for me.